Remember our blogpost about Pool Party, Google’s upcoming photo sharing app for Android? Well, they have also launched an app for iPhone called Photovine. Both of these apps are still under ‘invite only’ so even if you have the app installed, you cannot log in. Pfft. Photovine is a fun way to learn more about your friends, meet new people, and share your world like never before. It all starts with what we call a photovine: a group of photos around a single, shared caption. Start a new vine with a photo and caption of your own or add your photo/take on someone else’s vine. Watch the demo video here! 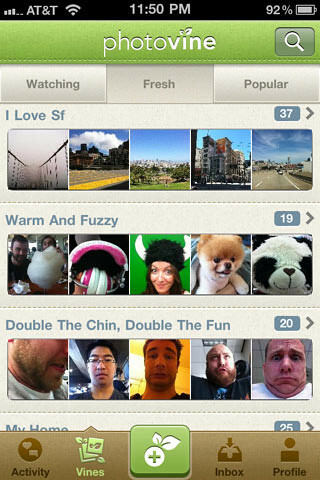 4 Responses to "Google’s Photo Sharing App for iPhone, Photovine Is Out"
Look like Instragram like that….